Accenture Interactive, part of Accenture Digital, helps the world’s leading brands drive superior marketing performance across the full multichannel customer experience. Accenture Interactive offers integrated, industrialized and industry-driven digital transformation and marketing solutions. It was named the world’s largest and fastest-growing digital agency in the latest Ad Age Agency Report. 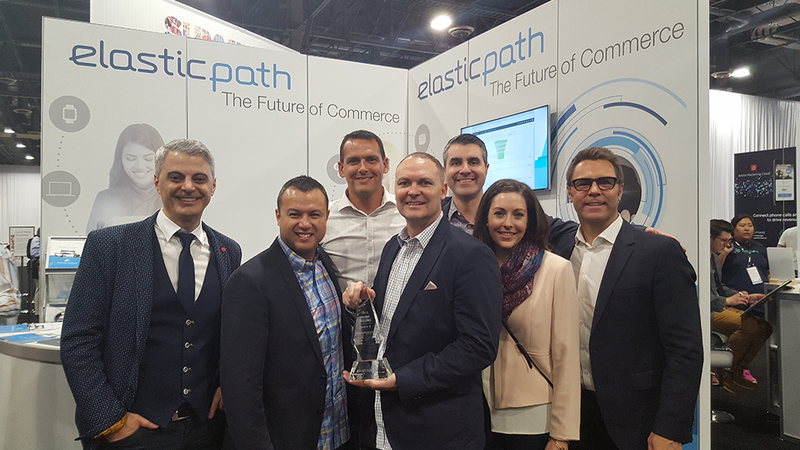 Vancouver, April 5, 2017 – Accenture Interactive has been recognized as Elastic Path’s 2016 Partner of the Year for being the top-performing partner in 2016. This inaugural award was presented by Elastic Path, which develops the world’s most extensible API-first enterprise commerce platform enabling companies to create innovative customer experiences. Accenture Interactive delivered outstanding contributions that empower joint customers to transform their customer experience and innovate their business and industries. From left to right: Sal Visca (Elastic Path), Harry Chemko (Elastic Path), Eric Buss (Accenture Interactive), Will Brown (Accenture Interactive), Matt Cardile (Accenture Interactive), Candace Holt (Accenture Interactive), Sean Skamnes (Elastic Path). The award recognized Accenture Interactive in helping customers design and deliver consistent and seamless digital commerce experiences, utilizing Elastic Path® Commerce. The award reflects Accenture Interactive’s contribution to Elastic Path’s customer success, software revenue, and delivery of complex transformational solutions for enterprises that seek a flexible, open and modular commerce platform. The Accenture Interactive team is globally certified by Elastic Path and are delivering numerous client commerce engagements.